Alright ya’ll we are 10 days away from Valentine’s Day! Whether you are celebrating with friends or your significant other, it’s fun to get together and celebrate the ones you love. Today is for those of you looking for a more casual Valentine’s Day outfit. I feel like my plans usually lead to the more casual side with a nice meal at home or happy hour with girlfriends. 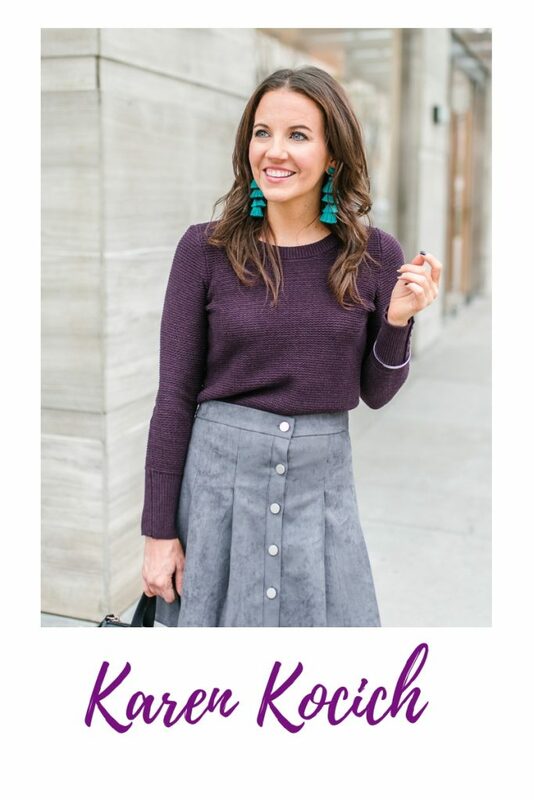 While I’m not opposed to an all black look like a shared a couple weeks ago, this casual outfit is all about keeping with holiday spirit. I love the two shades of pink and the feminine details of this top. 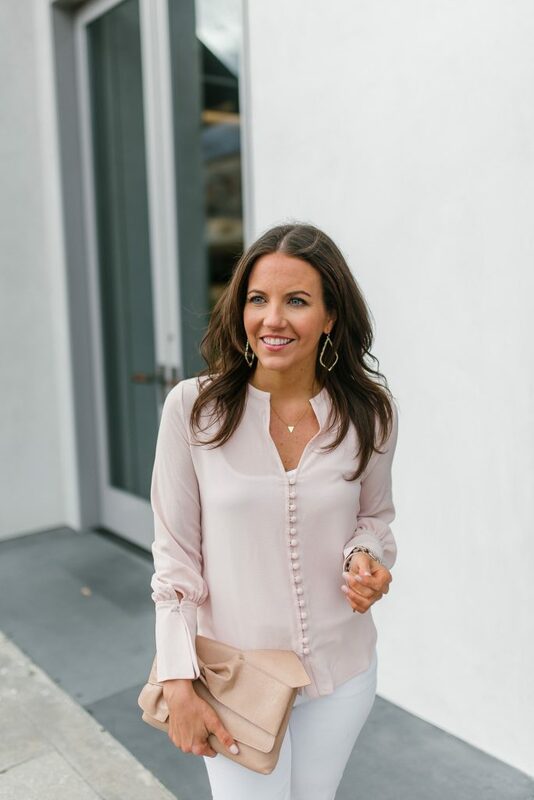 I decided to pair this blush pink top with white jeans to really let the pinks pop. 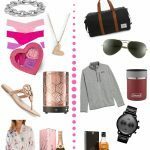 I also loving mixing different shades of pink. It’s not something that works with all colors, but it definitely works with different shades of pink. I usually opt to mix a lighter pink with a darker pink. What are your Valentine’s Day plans? Do you plan to opt for the chic all black look or a more holiday inspired red and pink look? 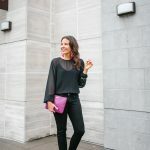 Love this blush blouse and pop of bright pink! So pretty! That blouse is so dreamy! Love the little button details! 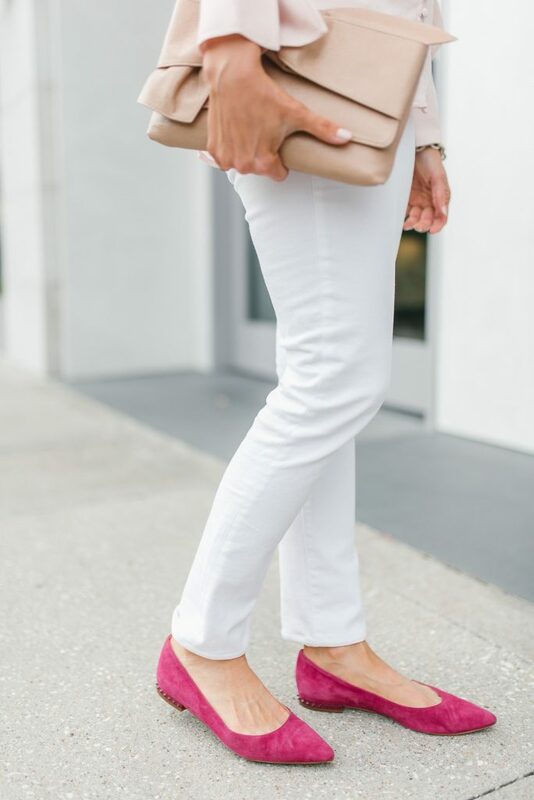 Love the pop of color with those bright pink shoes! We normally stay in and order Papa John’s heart pizza for dinner! Nice and easy!